Yeah, yeah, I know, you watch “Best Thing I Ever Ate” on the Food Network too. This blog does not claim to be particularly original. Tasty yes. Ground breaking? Eh. So, when I saw the episode about Sprinkles’ founder Candace Nelson’s favorite baked good I knew I had to find the recipe and bring it here. I mean come on—this is what the sister grand pubha of cupcakes puts at the top of her list. It’s gotta be good. And it is, really good. Like, reaaalllly gooood. But there is a secret to the doughnut-muffin that makes them extra super excellent that they don’t share with you on the show that I will share with you here. Promise. Start with all room temperature ingredients. The butter, milk, buttermilk and eggs—the whole lot—at room temperature (I know you’ve hear this before). What’s more, this is no delicate batter. 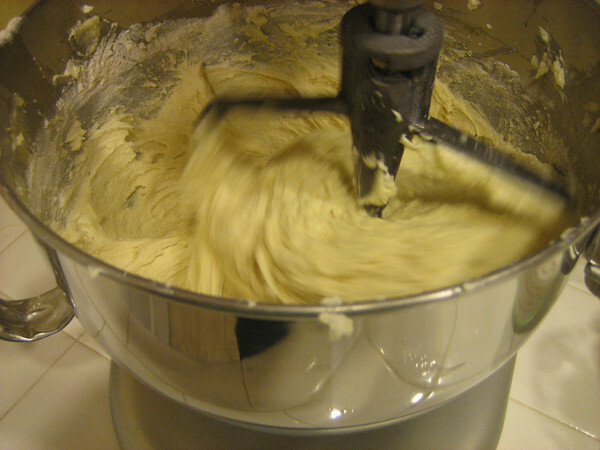 While you could do it with a hand-mixer, I recommend the big guns (and no TD, I don’t mean your biceps). 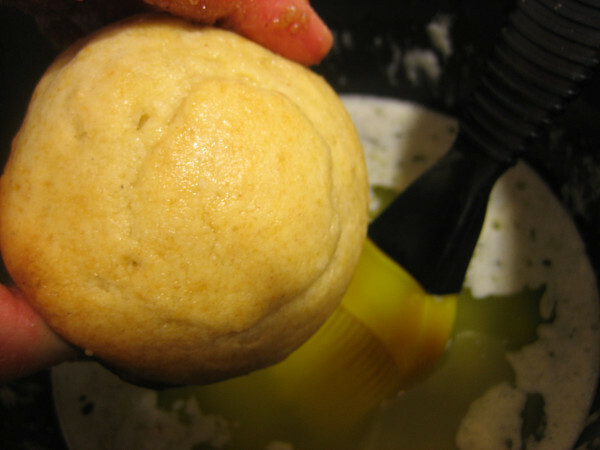 Grease the muffin pans but don’t use liners. You’ll see why in a second. 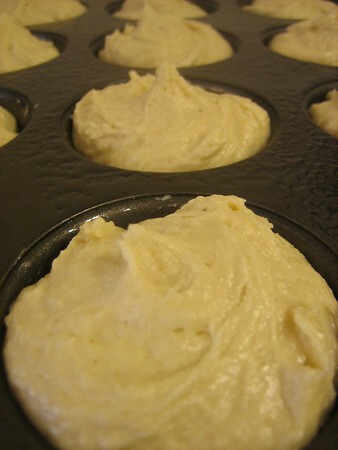 The original recipe says to use about ½ cup of batter in each muffin cup. For me, 1/3 cup was perfect (once you see the amount of levening agent in this recipe you’ll understand why). The batter on its own isn’t particularly interesting or unique. It’s when they come out of the oven that the magic occurs (but just the ordinary magic, not the super special magic part I’m going to tell you about at the end of this post). While your buns are in the over, melt some butter. A lot of butter. 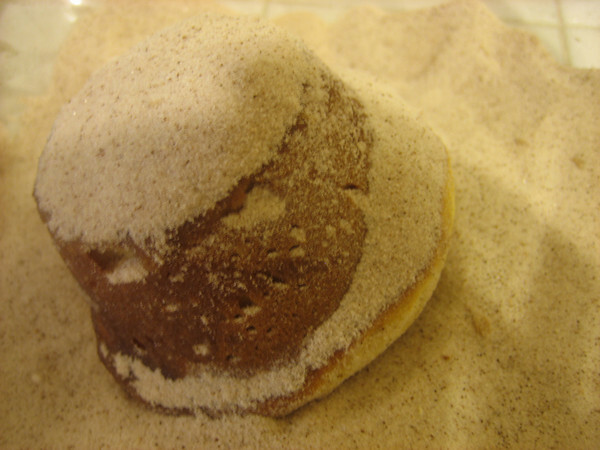 And while you are at it, whisk together a cinnamon sugar party. 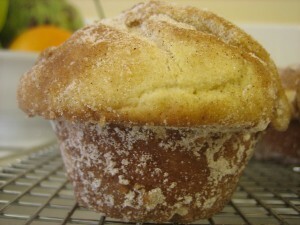 Now, as soon as you can handle the muffins without either burning yourself or crushing the muffin, the real fun begins. Start with a nice, all over butter bath. That’s right, bathe these cakes in butter. Then, before the butter sinks in, give them a sugar scrub all over. Don’t be shy with the sugar baby. 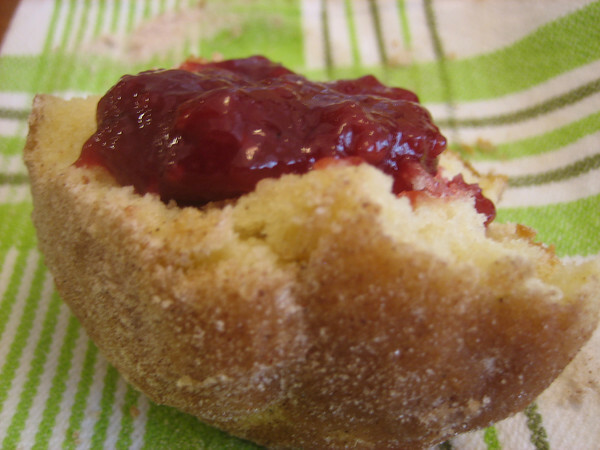 The doughnut muffin is definitely greater than the sum of its parts. The outside is cinnamon-sugary with a little bit of crunch while the inside is moist and crumbly. These are delectable as they are but wait. Oh yeah, I’m going there. 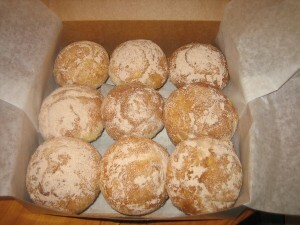 The only thing better than a plain doughnut muffin. Is a jelly doughnut muffin. But that isn’t the secret part. Here is the secret part. If you have the discipline, let them sit in a tightly sealed container over-night. What they lose in crunch they gain in doughnuttyness. Is there anything better than a doughnut the size of a muffin? Put a rack in the middle of the oven and heat the oven to 350°F. In a stand mixer or a large bowl, cream the butter and sugar. Beat in the eggs, one at a time, until just mixed in. 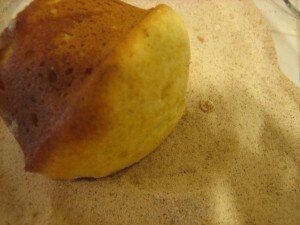 Sift together the flour, baking powder, baking soda, salt, and nutmeg. Combine the milk and buttermilk. With a wooden spoon, mix a quarter of the dry ingredients into the butter mixture. Then mix in a third of the milk mixture. 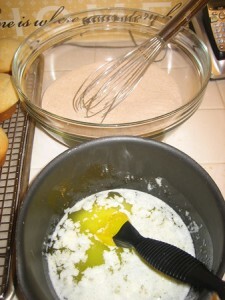 Continue mixing in the remaining dry and wet ingredients alternately, ending with the dry. Mix until well combined and smooth, but don’t overmix. Grease and flour a standard-size muffin tin. Scoop enough batter into each tin so that the top of the batter is even with the rim of the cup, about 1/2 cup (I used 1/3 C) Bake the muffins until firm to the touch, 30 to 35 min. Melt the butter for the dipping mixture. Combine the sugar and cinnamon. When the muffins are just cool enough to handle, remove them from the tin, dip them into or brush them all over with the melted butter, and then roll them in the cinnamon sugar.